These bike deliveries are an institution. 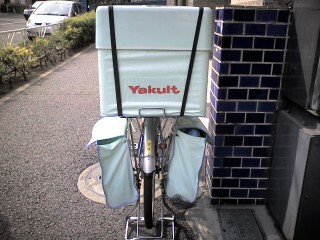 There is even a Barbie style doll of the Yakult lady delivery staff - complete with bicycle! Edit: Comments turned off this post as it is being targetting by dirty rotten spammers.